Boston — New data show that project requests to fund water and wastewater infrastructure projects through the U.S. EPA-administered State Revolving Fund (SRF) Program have increased 25 percent since last year. For the most recent cycle, 2017/2018 fiscal year, $26.9 billion has been requested for drinking water and another $55.3 billion for clean water (wastewater), according to new state-by-state project analysis from Bluefield Research (http://www.bluefieldresearch.com/research/state-revolving-fund-budget-allocations). This year, $14.4 billion was committed to SRF loans and grants, which include federal allocations, state matching funds, and state-specific financing programs for water infrastructure projects. Of awarded funds, treatment system projects received the lion’s share — 36 percent of drinking water projects and 53 percent of clean water projects. Other types of projects include transmission and distribution networks, sewer collectors and interceptors, water or stormwater storage, water reuse, and stormwater overflow corrections. Bluefield’s annual analysis of the SRF Program identifies projects and systems that requests these low-interest loans and grants to fund capital improvements. The data also demonstrate high variability from state-to-state that is underpinned by more local factors. Ohio dominates the funding allocations because it has committed to fund all eligible projects, totaling $2.2 billion in 2017. Illinois issues bonds to augment the available money from state revolving funds. California and Texas voted in financing to address drought concerns in 2014 and 2013, respectively, which have boosted the size of SRF resources. Select states, such as Tennessee, have not fully matched federal funding, therefore left funding on the table in the short and long term. The current program is already oversubscribed, with only 17 percent of the total requests receiving funding — loans or grants. Further, only a small percentage of municipalities leverage the program. 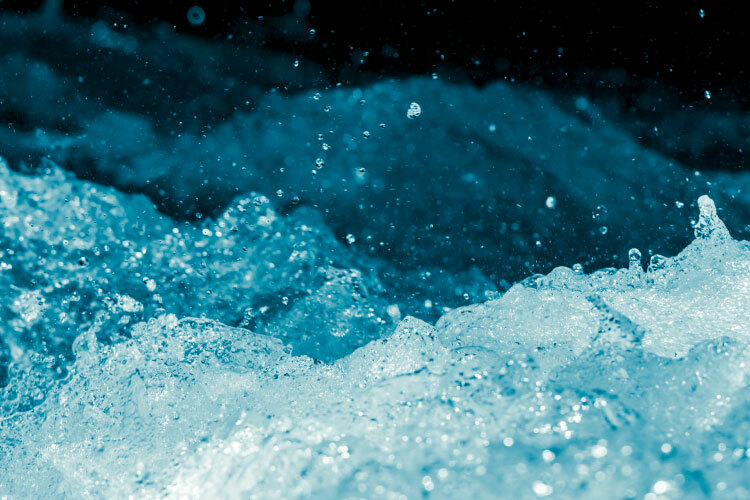 Of the approximate 49,000 drinking water and 18,000 wastewater systems in the U.S., Bluefield has mapped, 3,911 drinking water and 3,730 wastewater systems that have requested funding this fiscal year.